I'm in an "Exercise Rut"
I've got to be honest...lately me and exercise have not been that good of friends. I would say we are acting more like acquaintances at this point. I'm not proud of this obviously, but I'm just keepin' it real. Why you ask has this happened? "Rose is awake now and she needs me"
"It is too hot outside"
"I'm not training for anything right now"
I really need to shape up or ship out though, so I have been digging deep and trying to find the motivation that I need. I have to remind myself that whether it is a long run, an ab work out, or taking Rosalie for a walk, all are forms of exercise that will help to keep me healthy and happy :) I remind myself that even though I don't have a gym membership right now, I can still find great ways to exercise on my own. I also remind myself that I will have that membership again in a couple months when we get back to Provo. HOORAY for Gyms! One thing that gets me excited about working out is new workout gear! I love having comfortable/cute/breathable workout clothes to wear, running shoes that fit well, and other awesome accessories. 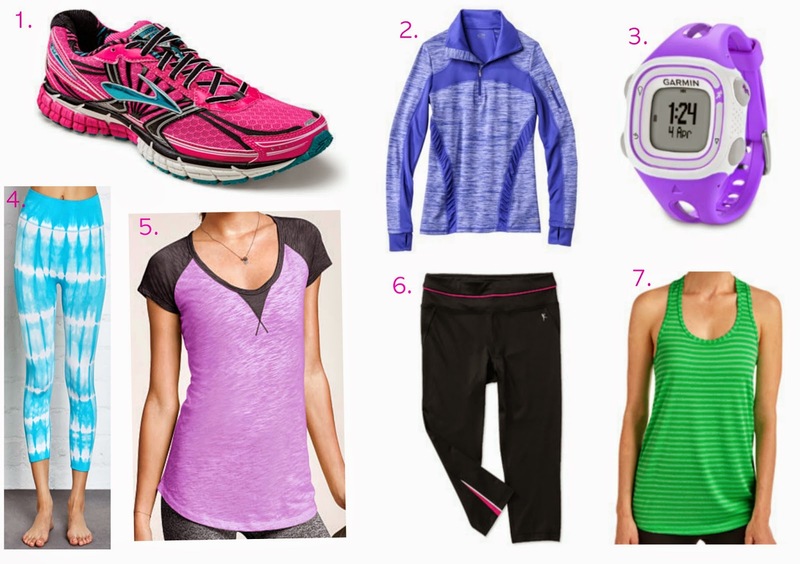 New workout gear= a stronger desire to exercise. I looked around for some new workout gear that I love, and this is what I found. *What motivates you to exercise? I love your workout clothes picks! I have a love/hate relationship with exercise! Cute clothes make it so much better! new work out clothes totally help me be motivated! these items are so cute! love the fun tie dye pants! My iPad motivates me. Watching a show while I run helps the time to pass sooooo much faster!! I don't have a baby though so I can't begin to understand how hard it is to manage time with one.